After Bikram yoga this morning I really craved a protein muffin.. And it was glorious! For the frosting I mixed one tablespoon of peanut powder with a bit of chocolate portein powder and some rice milk.. It was yammy! 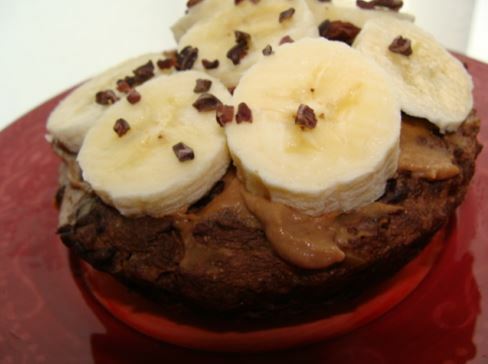 Put some banana and some raw cacao nibs on top et voila! 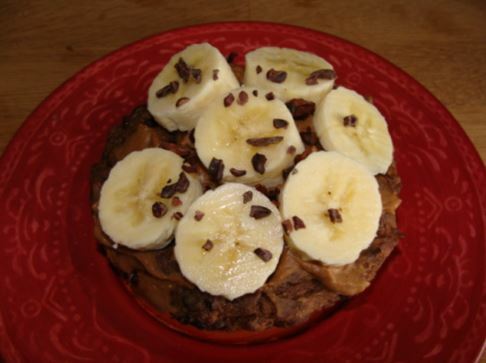 Delish post workout muffin!